Recall & Withdrawal – RQA, Inc.
RQA ensures a successful recall or withdrawal no matter what the scale. RQA will develop or enhance your recall plan, identify and incorporate key contacts into its database, and structure a data transfer capability that enables immediate response to a product action. 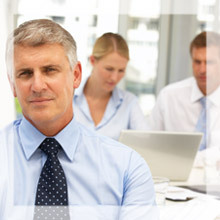 Recall, withdrawal or market correction services are fast and efficient. RQA’s effectiveness checks verify recall performance for regulatory compliance and corporate reporting. RQA’s services are targeted to provide the fastest possible recall or withdrawal capabilities, minimizing business and consumer risk. Count on RQA at any step in the recall process. RQA will physically recover affected product from retail distribution, and provide complete destruction documentation including video. After a recall has been announced, the FDA and USDA often require validation by auditing a small percentage of retail stores that received the affected product. RQA will physically audit retail stores and provide the documentation required to verify the recall was completed effectively. RQA consultants will help navigate the complex landscape of regulatory requirements and food safety law. Utilize RQA facilities to receive affected product from distribution centers, document by item and lot code, and prepare for witnessed destruction. RQA Food Forensics™ provides expert assessment and product contaminant identification services. The retrieval of complaint samples and/or packaging materials from a consumer residence, store or other designated location. Often combined with a retail store check and/or sealed product samples to gather additional information. RQA will provide a recall coordinator and contact center agents to receive calls and contact customers on behalf of clients during a recall event. Customers will be provided a phone number and email to contact and schedule the removal of affected product. Our confidential, proprietary Internet websites allow you to view the status of your recall/withdrawal at any time. Status is available by customer account, individual store location, or warehouse location. The website shows real-time data and allows you to print status reports including date, time, number of units removed and the store manager’s name to verify visits. One stop reporting allows you to generate and print reports from the website to submit to regulatory agencies at any time of the day or night. All of RQA’s services are targeted to provide the fastest possible recall or withdrawal capabilities, minimizing business and consumer risk.